As it turned out, committee members did not want to discuss the matter, preferring to concentrate on Wernick's alleged role in pressuring former attorney general Jody Wilson-Raybould to halt a criminal prosecution of Montreal engineering giant SNC-Lavalin. No one asked about the messages, sent to Wernick via Facebook messenger. Nor did the committee release them publicly, since they were not in both official languages. However, on Thursday, Wernick's office released copies of eight expletive-filled, sometimes barely coherent messages. "[You're] garbage pal. If you don't want to be calked name like treason and traitor then don't indulge in it then, you (expletive) idiot goofs!" said one. "You should be ashamed of yourself for the comments about assinations! Arrogant pos! Get a real job you (expletive) deadbeat," said another. "I worry about the rising tide of incitements to violence when people use terms like treason and traitor in open discourse," he said. "Those are words that lead to assassination. I'm worried that somebody is going to be shot in this country this year during the political campaign." Wernick went on to say he's also worried about "the reputations of honourable people who have served their country being besmirched and dragged through the market square. I worry about the trolling from the vomitorium of social media entering the open media arena." 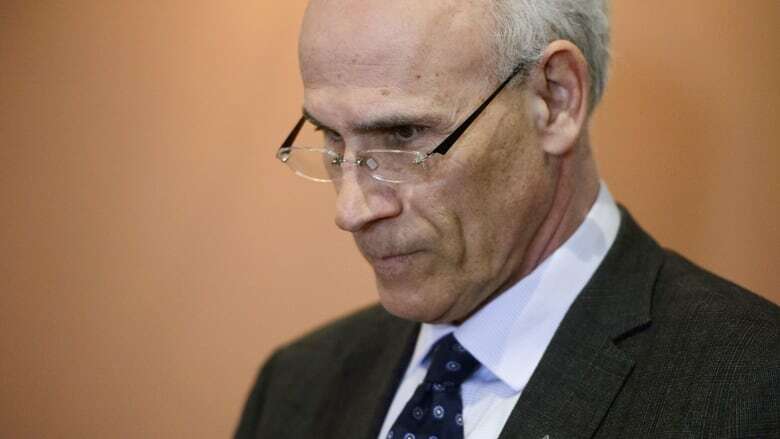 Wernick's performance before the committee, along with his stout defence of the integrity of staff in the Prime Minister's Office, earned him the scorn of opposition MPs, who accused him of being partisan and demanded that Prime Minister Justin Trudeau fire him. In the House of Commons last week, NDP MP Charlie Angus referred to Wernick as Trudeau's "personal goon." "Michael, you are dirty. Your manipulation of the fallout on the SNC-Lavalin criminal bribery scandal does not look good on you," said one message he received. "You're a loser. And a liar. You'll amount to an absolute nobody in Canadian history. A spineless puppet," said another. "YOU SHOULD BE FIRED. A disgrace to Canada ... Overpaid, bureaucratic LIBERAL BOZO ... protecting liberal LIars!!!" opined yet another.